SalesPanda functions as a powerful content management tool for the creation and modification of all types of digital content in a collaborative environment. This makes it a vital and important part of your marketing arsenal. Create, upload and edit important marketing collaterals and store them in your online content repository for easy access from anywhere, at any time. 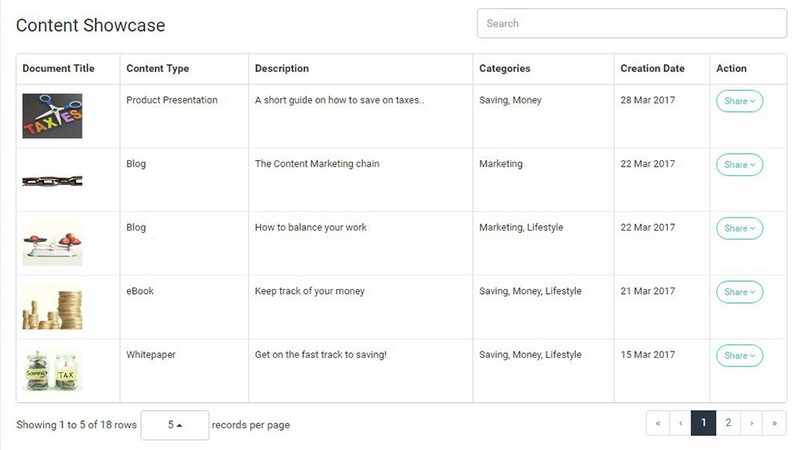 You can also showcase the content you create on your website with just a click by using the Content Library in tandem with SalesPanda's Content Showcase feature. 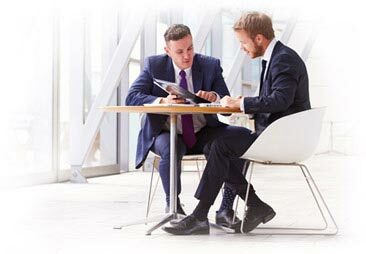 Use SalesPanda's intuitive Content Management System to create or upload content with SalesPanda. Collaborate with your team and create, edit and remove content from your website. When combined with SalesPanda's Content Editor and Content Showcase, you have a 360-marketing suite for all your content creation needs. For channel marketing purposes, SalesPanda allows you to syndicate content to your distributors with different levels of access. You can decide what content is viewable by which level of access. This allows you to control exactly which distributors have access to what content, and enables you to share content with complete control. Publish the content you create to SalesPanda's Content Showcase. The Content Showcase creates a sub-domain on your website where you can publish content from your Content Library to. This allows you to keep an online content repository for your visitors to browse, attached to your very own website. This sub-domain is fully customizable in terms of design and the content you wish to showcase on it. SalesPanda's different features complement each other to allow you to get optimal use out of your content. You can provide content as downloadables in any page of your website via SalesPanda's CTAs, allowing you to maximize your conversion rate by strategically offering relevant content at relevant times. Convince your prospects to take an action and obtain vital contact information by offering access to your content behind gated Engagement Windows. SalesPanda also gives you the option to co-brand or personalize content that is uploaded to your library with your logo and other contact information. This gives you the option to share customized content with your customers, with minimal effort required on your part.